The activities of many extremists worldwide have been focused on methods to inflict high mass casualty incidents. They seek weapons of mass destruction which they would not hesitate to deploy into densely populated regions in America or elsewhere in the world. Fortunately, the level of security guarding nuclear arsenals is high and the required security clearances and continuing government surveillance over key personnel working in the nuclear weapons industry is also high. This level of control over nuclear weapons and raw materials makes it difficult—but not impossible—for a group of determined extremists to acquire essential materials and technical skills to build a nuclear device or buy an operational one on the black market. However, a far less secure and less government regulated industry with equal potential for high mass casualty incidents exist in virology laboratories throughout the world. Advances in virology have far surpassed existing public policy controls and government regulatory safeguards to secure laboratories at reasonably the same level as the nuclear weapons industry. Laboratories are not closely regulated and key scientists have not been vetted and cleared by extensive background screening procedures or kept under close surveillance protocols. To some readers, this may be dismissed as alarmist. It is nonetheless important to recognize that technology exists to create deadly viruses. Dangerous pathogens could be under development in any of many unregulated laboratories operated by unsupervised scientists. 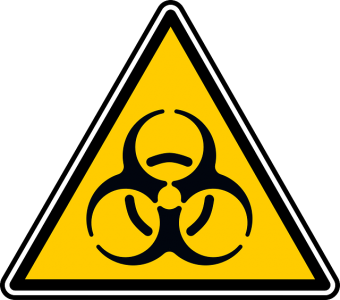 International public policy, global multinational government regulation, and public health are not well prepared for a bioterror attack. It is assumed that scientists regulate themselves; however, if any scientist who is also an extremist engineers a novel virus or reanimates an extinct virus (as scientists have been doing with the Spanish Flu virus that killed an estimated 100 million people worldwide in 1918), they will have a potential weapon of mass destruction. Ask the U.S. Centers for Disease Control and Prevention (CDC) why they keep the deadly smallpox virus alive and on hand in their laboratories in Atlanta, Georgia? Further, what security clearance investigations have been conducted on the U.S. CDC scientists? Have ongoing security surveillance protocols been implemented to ensure their compliance with high-level bio-hazard security risk procedures? Scientists who are working in biosyn research are designing novel viruses in laboratories as small as a single car garage that have the potential for high infectious rates and high case fatality rates through gain of function studies. CRSPR cas9 technology is available without regulatory restrictions and is capable of manipulating the genome of existing or bioengineered microscopic organisms, altering them to become designer pathogens that pose a dangerous public health risk. The laboratory equipment and technology are available for sale at a reasonable cost without government regulation that could control the means for someone with the requisite skill and knowledge to create new viruses with the intention for release on populations. It is easier to buy this new technology than it is to buy a gun in America. Who is minding the store?